Being accused of domestic battery is serious. Whether you are convicted of those charges or the case is eventually dismissed or reduced, the mere fact that you were accused of domestic battery can follow you for years to come. Turn to Chambers Law Office to fight for you and guide you through the justice system, making sure your rights are protected. Chambers Law Office was founded by Julie Chambers, a former Marion County deputy prosecutor. She has experience both prosecuting and defending battery cases, giving her unique insight into the criminal justice system. Battery charges are considered domestic in nature if it is alleged that the accused is or was the spouse of the other person, is or was living with the other person in a romantic relationship or shares a child in common with the other person. Domestic battery is a misdemeanor if the charge is for causing injury (which can just be a complaint of pain) by touching the other person in a rude, insolent or angry manner. Alternatively, if the accused has a prior conviction for domestic battery or the offense was committed in front of a child less than 16 years of age, it may be filed as a Level 6 felony. (See I.C. 35-42-2-1.3). See Misdemeanor and Felony Sentences for more information on possible penalties for each level of offense. Depending on what level offense is charged, a defendant may be facing zero days in jail up to probation, house arrest or prison time. Additionally, a conviction for domestic battery or other types of battery involving a domestic partner or protective order can disqualify a person from carrying a firearm. You may also be restricted by a no contact order or protective order, both of which can carry additional criminal penalties if violated. 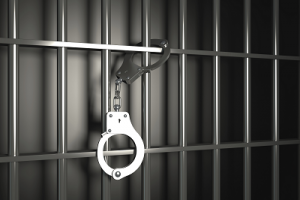 There are many ways a criminal defense lawyer may defend a domestic battery case. Each case is different and each set of facts can alter what steps your lawyer may take. However, speaking with a lawyer right away will ensure your attorney can preserve evidence and utilize all possible defenses in preparing for trial or negotiating a plea. If you or a loved one has been accused of domestic battery, contact Chambers Law Office today to speak with a lawyer. Don’t delay. If you need legal representation, contact us today.